Roots Roadhouse is the kick off event to the Grand Ole Echo –The Los Angeles-based live roots music series. 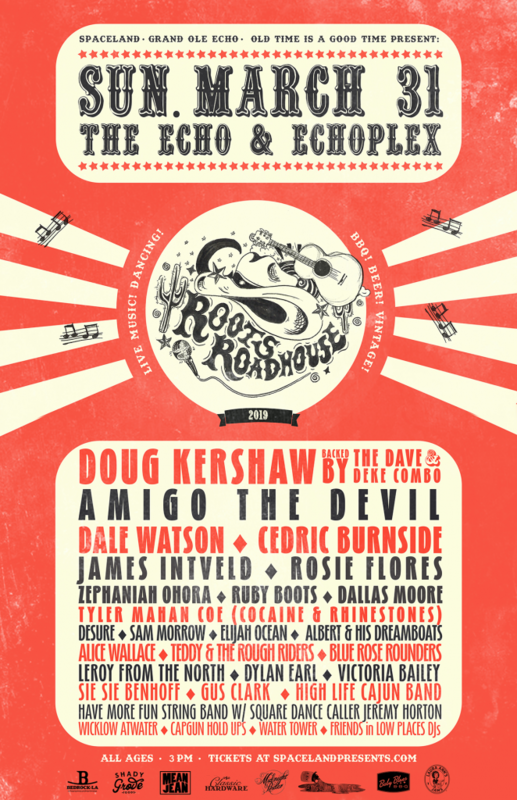 Roots Roadhouse is an all day festival taking place at Echo and Echoplex stages plus the Echo patio stage and string performers and square dancing at the Old Time Is A Good Time Stage. 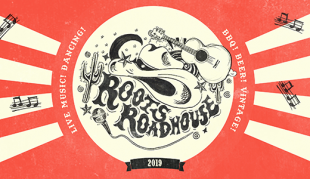 Roots Roadhouse is inspired by the outlaw country spirit and cosmic cowboy soul; different genres are showcased during the mini fest that are all part of American roots music. 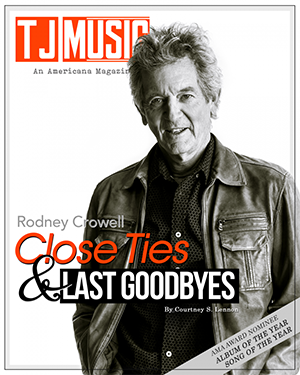 This years performers include the Ameripolitan Godfather Dale Watson, “Mr. 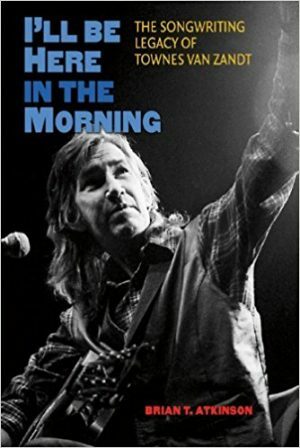 honky tonk” Dallas Moore, “Ragin’ Cajun” Doug Kershaw with the Dave & Deke Combo, bluesman Cedric Burnside, rockabilly king James Intveld, murder ballad balladeer Amigo the Devil plus Zephania Ohora, Ruby Boots, Alice Wallace and Teddy & the Rough Riders.